Go-Jek, the Indonesian ride-hailing service, recently reported that it would be expanding its services into four markets in South-East Asia and will include Singapore in its expansion plan. The expansion is a part of a growth plan that apparently costs US$500 million (S$671 million). Investors for Go-Jek’s expansion include well recognized names like Google, Tencent and Temasek Holdings. 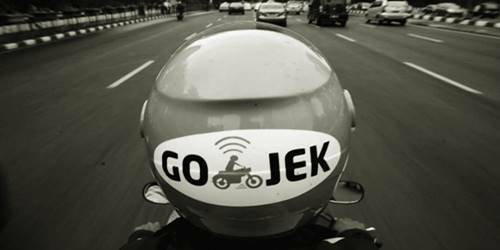 Go-Jek declared that it will be expanding its services to Thailand, Vietnam and Philippines besides Singapore within the next few months and will include its multi-service business model in the four countries. That is, the ride-hailing service plans to provide a variety of concierge services like grocery and food delivery, cleaning and massage services, just like it does now in Indonesia. The company will be pitted against Grab, the Singapore based ride hailing operator which will emerge as a major competitor once Uber exits the South-East Asia market in March. For the record, Grab operates in Thailand, Vietnam, Singapore, Philippines, Malaysia, Indonesia, Myanmar and Cambodia. In essence, the company seems to have an established presence in all the countries where Go-Jek is planning its service expansion. Nadiem Makarim, CEO of Go-Jek was quoted by reliable sources to have said that Go-Jek will be seeking local partners in the countries where it plans to expand so as to gain deep and varied knowledge about the market in the concerned countries. Reports cite that ever since Uber ended its services in Singapore, Grab dominated the region’s ride-hailing sector. Carpooling platforms like Ryde, being relatively smaller in size, did not prove to a compelling rival for Grab. Prior to Uber’s exit, Grab and Uber fiercely competed with one another, offering discounts to passengers and incentives to drivers. Post Uber’s exit however, Grab announced a rolling back of incentives. Presently, with the entry of Go-Jek, experts anticipate a return of incentives. Though Go-Jek might prove to be a potential competitor, Grab is expected to have the edge over Go-Jek due to its established status in the Singapore private hire market.